Artist Rashila Ramchurn has become the first Mauritian academic to win the World Championship Award. At the age of 41, this lady has set the bar really high and is fast becoming an international asset for Mauritius in the field of arts. 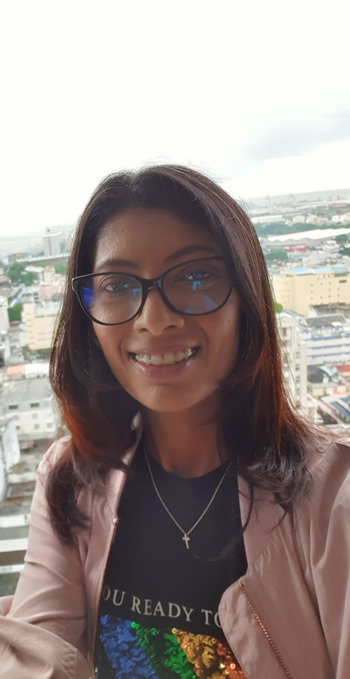 World Champion 2019 Dr Rashila Ramchurn, a resident of Mademoiselle Laure, Koyratty, Pamplemousses, has set an academic standard when her research paper entitled ‘Life on sugar estates in colonial Mauritius’ ranked first among 5,245 nominations from 95 countries, conferring her the award of ‘World Championship 2019 in Archaeology (Bonded labour)’. She has chosen this theme as she wanted to pay tribute to indentured laborers. For this research, she met several centenarians to learn about life stories during colonial times. Moreover, she has also won the title of Fellowship and Honorary Doctor in science for her exceptional scientific contribution. Dr Rashila Ramchurn is among the World’s 500 most influential experts in Archaeology for the year 2019 on Earth. She is now recognised as ‘Father of Modern Bonded Labour Studies in Archaeology’. This year on 22nd February, the Archaeology Day Festival was celebrated in her honour. Her research paper was classified as most innovative and a revolutionary contribution to knowledge. She is also a famous artist. In 2011, Dr. Rashila Ramchurn innovated the art world in Mauritius by breaking rules and conventions of art thus deconstructing the norms of art. She is the pioneer of Street Art in Mauritius and amazed thousands of those who participated in her street art programmes. She did art therapy with disabled children. She brought art works out of the gallery to the proximity of the public and adapted art to the cutting edge innovation. Her ideas have always been revolutionary. In 2017, she revolutionized arts by creating another art movement ‘SmART Mob’ and in one hour 10,000 passers-by appreciated her art exhibition from 7am to 8am. The young woman represents an exceptional intelligence with exceptional skills and guts. Dr. Rashila Ramchurn says we must like what we do. She is a solution-oriented person. While she was still a PhD candidate, she saw innumerable stray dogs in Mauritius and she voluntarily cared for them, sterilizing and feeding them and she has set up two dog shelters where she takes care of the strays. She found it a necessity to set up an association to look after stray dogs and it is her dream to uplift the strays in society. “God created humans and animals and all have equal rights to survival and it’s the duty of society to look after all God’s creation alike,” she opines. Dr Rashila Ramchurn was part of a Bollywood production on the OCI card last year where she represented People of Indian Origin and the search for our roots. She now intends to publish a book about her doctoral research. She also plans to produce a film on the miserable life of stray dogs to educate the mass not to dump dogs and to sterilise their pets to save and to respect the life of animals. This year, Dr. Rashila Ramchurn says she will have ample time to paint again and create new dreams. Being an art educator at Ramsoondar Prayag State Secondary School, Dr. Rashila Ramchurn encourages students to ‘work hard, have fun and make history’. Besides, she is known as a stray dog savior. She distributes meal to around 70 stray dogs every day.